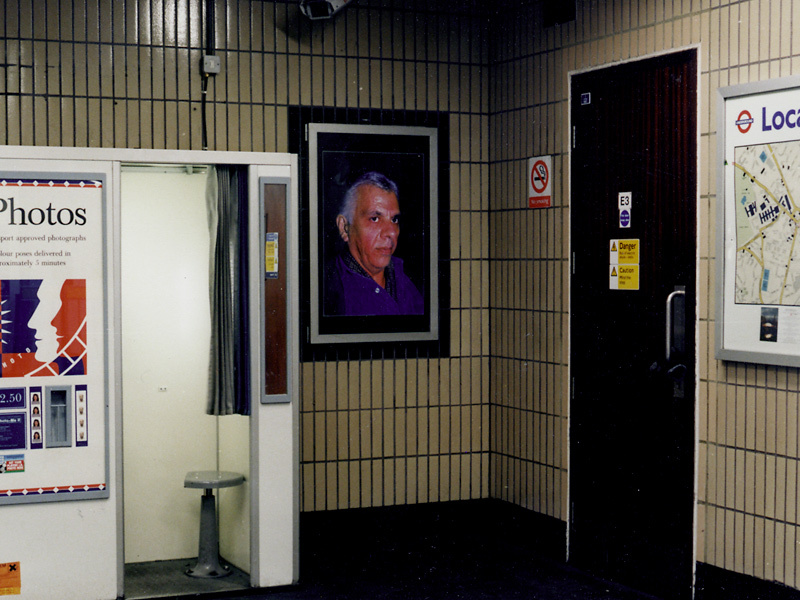 Site-specific photographic installation in Archway Underground Station Ticket Hall from December 1995 to May 1996. 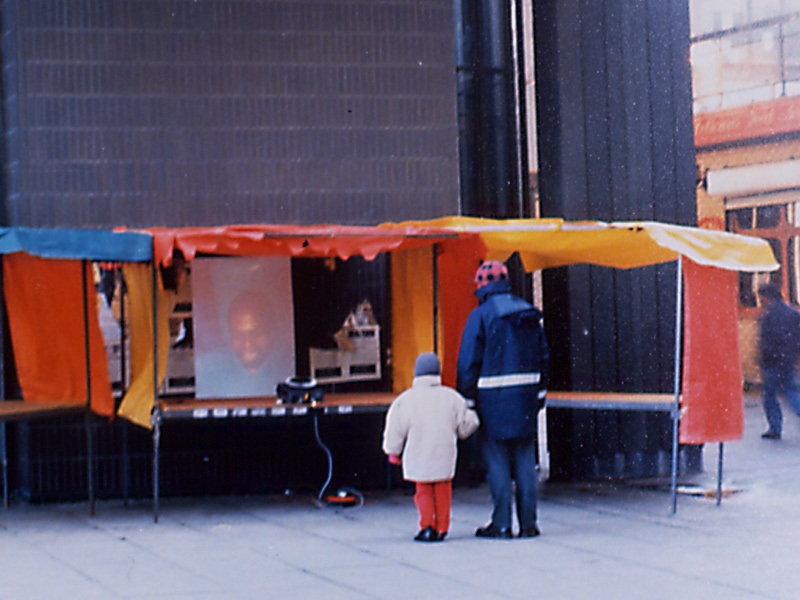 Local people working near Archway Sation were photographed in their shops or in the street. 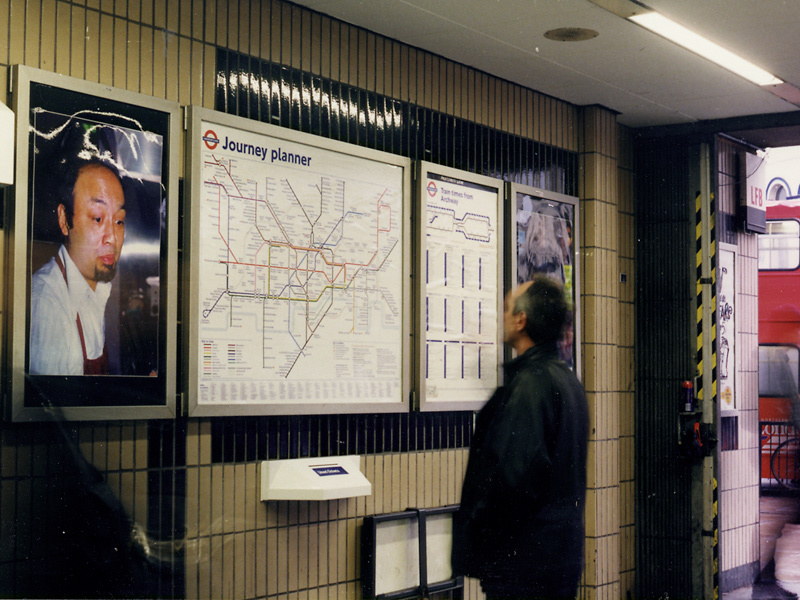 The resulting images were placed around the ticket hall and on the hoardings around the escalator repair works. The idea was to mix the faces of the local people with the advertising and information imagery amongst the bustle of the travelers. 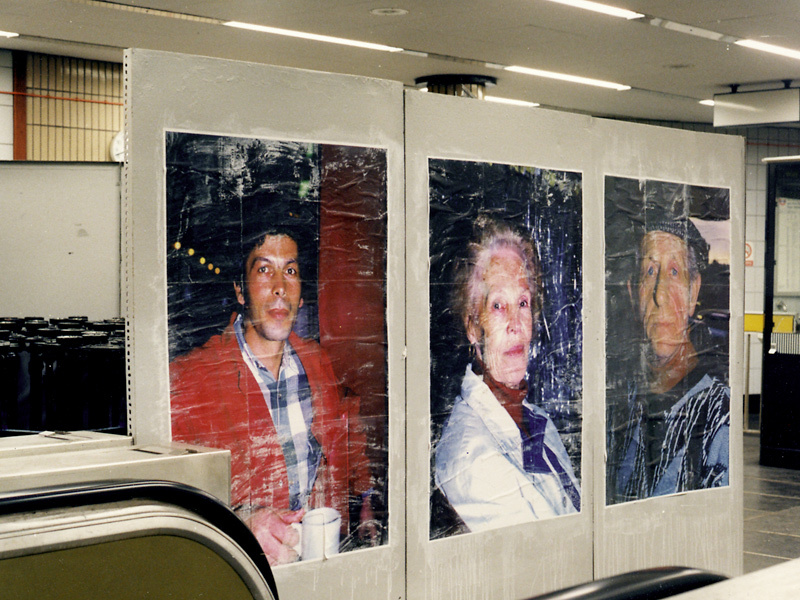 Being integrated in the fabric of the station, the images did not form a conventional exhibition, but rather a visual intervention. The work was commisioned by Islington Council Development Planning/Urban Regeneration for the Art in Archway / Archway Mall Festival.